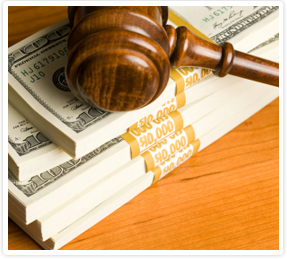 Cash bail is the process of paying the court the full bail amount for a defendant. If the defendant appears at all court dates, the court will refund the cash bail upon completion of the court case. Often, people wonder why they should pay a bondsman a non-refundable fee if they can pay the court the full amount and get a refund. Florida law requires that any cash bond posted by or “on behalf of” any defendant shall be applied against any unpaid court fees, court costs, fines, and any other criminal penalty. If you are putting up a cash bond for another person, you are putting it up “on behalf of” that person, and your money will be withheld to pay the defendant’s unpaid court fees, court costs, fines, and other criminal penalties (Section 903.286, Florida Statutes) Which means there is no guarantee that a depositor will receive their money back. Furthermore, Florida statutes do not provide clear guidelines on return of a cash bond in the case of a defendant missing court.